Eastern Air Lines was the first to operate air shuttles, beginning in 1961, with service every other hour from La Guardia to Washington and Boston. Over the next four decades or so, shuttle services increased in frequency and, crucially, offered unlimited capacity on every departure. A Delta shuttle at La Guardia Airport in New York. Delta’s shuttle service is aimed at business travelers who want to fly round-trip in one day. Airlines, however, still try to distinguish their shuttle flights to appeal to business travelers. 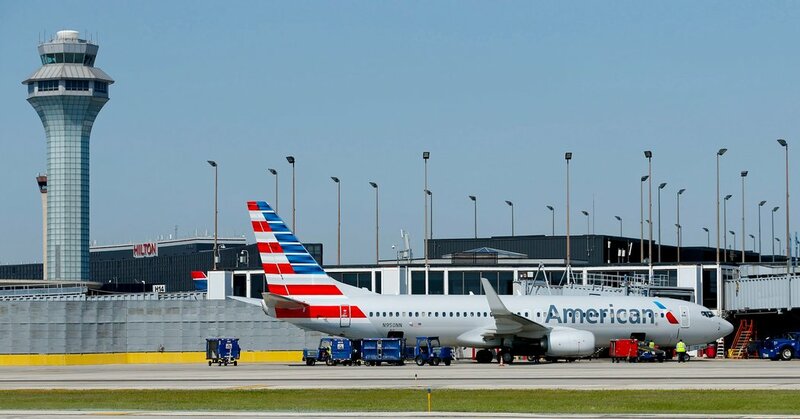 “The word ‘shuttle’ has a really distinct meaning to our most frequent business travelers,” said Vasu Raja, the vice president for network and schedule planning at American Airlines. American’s shuttles to Boston and Washington still follow a more consistent schedule than flights on other routes and tend to leave from the same gate. Passengers can also check in for the flights closer to departure time. Because of that consistency, Mr. Raja said, travelers “can be on autopilot” while going through the airport. He said the company had decided to expand its shuttle in response to customer demand. Chicago is a particularly strong market for business travel, he said, and the airline’s frequent fliers in New York have long wanted the shuttle to fly there. Delta Air Lines is the only other airline that offers shuttle service. Like American, it operates out of La Guardia with flights to Boston, Washington and Chicago. The Delta shuttle caters to business travelers with similar in-flight amenities and check-in rules, and has dedicated security lanes at La Guardia. The schedule is aimed at accommodating travelers who want to fly round-trip in one day. When Eastern Air Lines sold its shuttle routes to Donald J. Trump in 1989, the real estate mogul doubled down on the idea of luxury service, installing faux marble counters in the lavatories and chrome-plated seatbelt buckles embossed with the airline’s logo on the rebranded planes. Flight attendants wore faux pearls and served a cold meal and sometimes as many as two rounds of drinks on the 40-minute flights to Washington. The company even had a concierge service during the week. Passengers could drop off their dry cleaning before departing in the morning and have it waiting for them when they returned in the evening. The concierge would even arrange a dinner reservation. The Trump Shuttle was sold a few years later to USAir Group, which operated it as a separate entity for five years before folding it into US Airways. The shuttle moved to American Airlines when the two carriers merged in 2013. Delta acquired its early shuttle routes to Boston and Washington from Pan Am in 1991. A Trump Shuttle jet in 1991. Donald Trump brought faux marble and concierges to air shuttles, but sold the business after a few years. While flying is the fastest way to get to Chicago from the East Coast, shuttle flights face stiffer competition from Amtrak in the Boston-New York-Washington corridor. Frequent travelers tend to gravitate to one mode of transportation over another, and fans of the air shuttle are more than happy to make a case for their preferred way to travel. “I definitely take the shuttle more than I take the train,” said Justin Nelson, a co-founder and the president of the National L.G.B.T. Chamber of Commerce. “I do both, but I definitely prefer the shuttle.” He lives and works in Washington, but has to travel to New York about twice a month and, he said, most often takes the American shuttle. He said he found the service on Amtrak to be more impersonal. He also likes that he can accrue frequent flier miles on the shuttle that apply to the airline’s whole network. In addition, he said, American and Delta both support Mr. Nelson’s organization. Eric Schwartz, the president and chief executive of Atavis Jet, a private plane charter company, also said he preferred to fly in the Northeast. “The shuttle is more efficient for my needs,” he said. Mr. Schwartz lives in New York and frequently flies Delta to Washington for business or to visit family. “I can get door to door from Manhattan to downtown D.C. in two hours,” he said, adding that that’s faster than the train. Airlines and railroads have gone toe to toe to win over customers in the Northeast corridor for decades, boasting of their own unique efficiencies. Amtrak stresses how train stations are more centrally located than airports. But many shuttle fans prefer the speed of flying over taking the train. Mr. Schwartz said one ad he saw more than a decade ago really drove the point home.